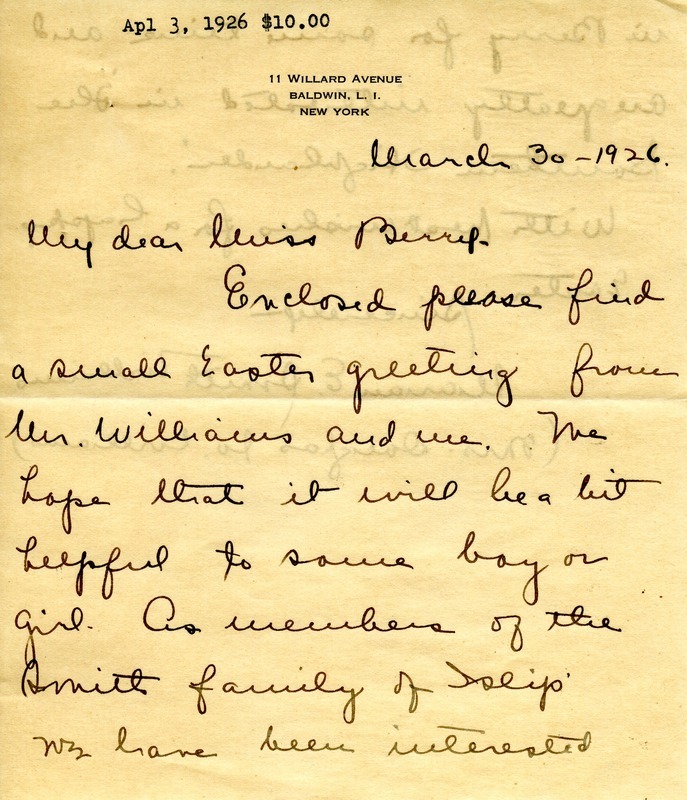 Letter enclosing a small Easter greeting to help some boy or girl. She mentions that as a members of the Smith family of Islip, she and Mr. Williams have been interested in Berry for some time and are greatly interested in The Southern Highlander. 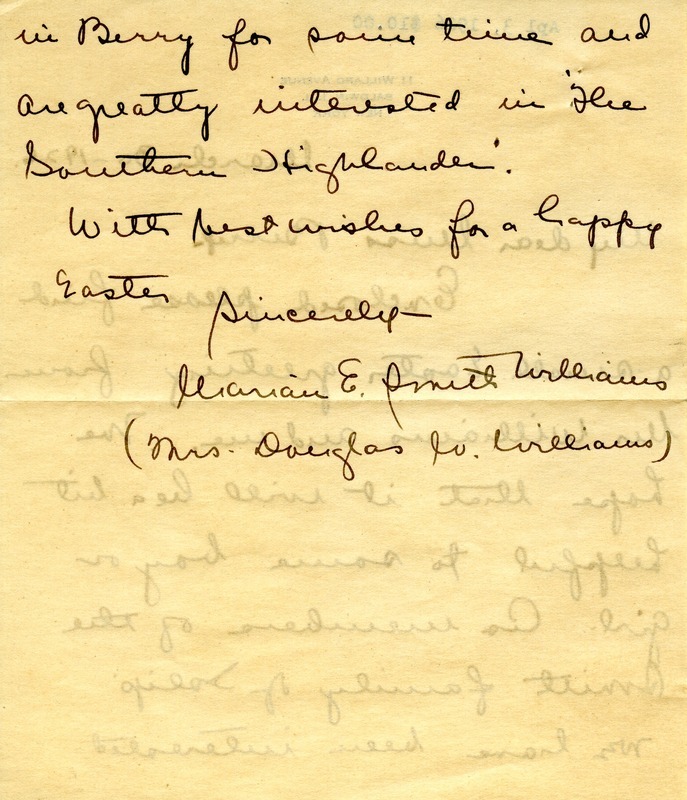 Marian E. Smith Williams, “Letter from Marian E. Smith Williams to Martha Berry.” Martha Berry Digital Archive. Eds. Schlitz, Stephanie A., et al. Mount Berry: Berry College, 2012. accessed April 25, 2019, https://mbda.berry.edu/items/show/3570.